All proceeds from this event benefit Rivers of Recovery. ROR hosts local combat wounded veterans on three day rehabilitative fly fishing trips, all at no cost to the veteran participant. 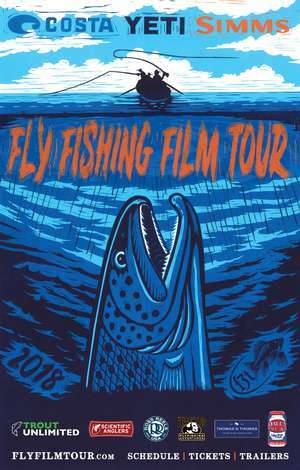 The event is hosted by the Stanislaus Fly Fishers, whose members volunteer their time to support the event, the trips and also provide some amazing and unique raffle prizes. This annual event has raised over $750,000 over the past 9 years! Please join us for an evening of great film and camaraderie in support of those who have given so much to their country! Doors open at 5:15pm, Show starts at 6:30pm - Tickets will be $10 in advance and at the door. Veterans and First Responders FREE! TICKETS ARE ALSO AVAILABLE AT THE STATE BOX OFFICE. For more information please contact Randall "Gunny" Reyes at gunny@riversofrecovery.org or 209/201-3613.